A recent article in the Wall Street Journal Online highlighted the work of State legislatures to make it easier for senior citizens to use their life insurance policies to help pay for elder care. In Texas, and other States including New York, California, Kentucky, New Jersey, Florida, Louisiana and Maine lawmakers are signing bills authorizing Medicaid officials to offer information to elderly applicants on the ability to sell life insurance policies to help pay for care. The goal of the legislation is to help save money within State run Medicaid programs. Currently, many seniors don’t qualify for Medicaid because of assets like a life insurance policy, but are unable to afford long term care. To qualify for benefits, life policies often end up getting cashed in for a small sum of cash which quickly runs out and puts seniors into qualification for Medicaid services. With the ability to sell long held life insurance policies to a third party, seniors are able to receive a chunk of the coverage amount of their policy, which is placed into an irrevocable bank account to pay for care. Typically, seniors only receive about 50% of the policy’s death benefit and buyers receive the full payout upon death, but the cash can often help pay for care that would otherwise be unaffordable. Home care services provided by an agency that utilizes a home care software or home care system, such as ClearCare Online to manager services, can be a positive way to spend funds available for care. However, many families wonder how much home care will cost. Different services from different agencies can vary when it comes to pricing. Typically, the kind of care required affects the overall price which may be based on hourly, per-visit or live-in rates. However, the cost of care may not always reflect the best provider for your needs. When interviewing home care agencies, it’s important to ask questions about caregiver skills, supervision and how they use tools like a home care software or home care system to manage their operations. 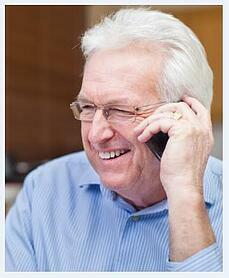 For more information on choosing a home care agency, see our blog post here. Beyond dollars and cents it’s also important to calculate the overall value of home care as it fits into your elderly loved one’s needs. Does the agency provide log-in access to their home care software or home care system so you can review schedules? Are they able to provide on-call services occasionally for unexpected needs? Do they supervise caregivers both physically and via systems integrated with their home care software or home care system such as telephony clock-ins? While figuring out how to pay for home care can be a challenge, finding a great home care agency shouldn’t be. With the best home care agencies utilizing ClearCare Online’s home care software and home care system you can be assured that you receive high value services that are billed to the appropriate source.